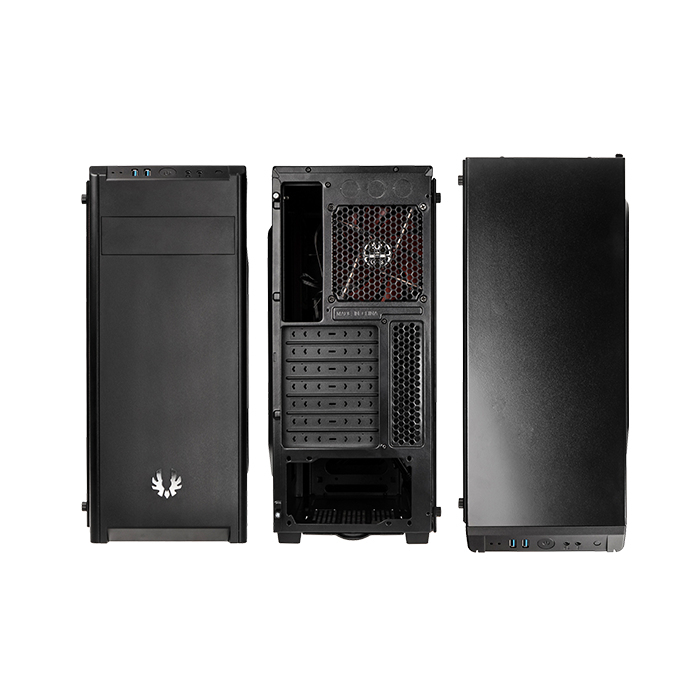 With the BitFenix Nova TG, the classic Nova receives a major upgrade. 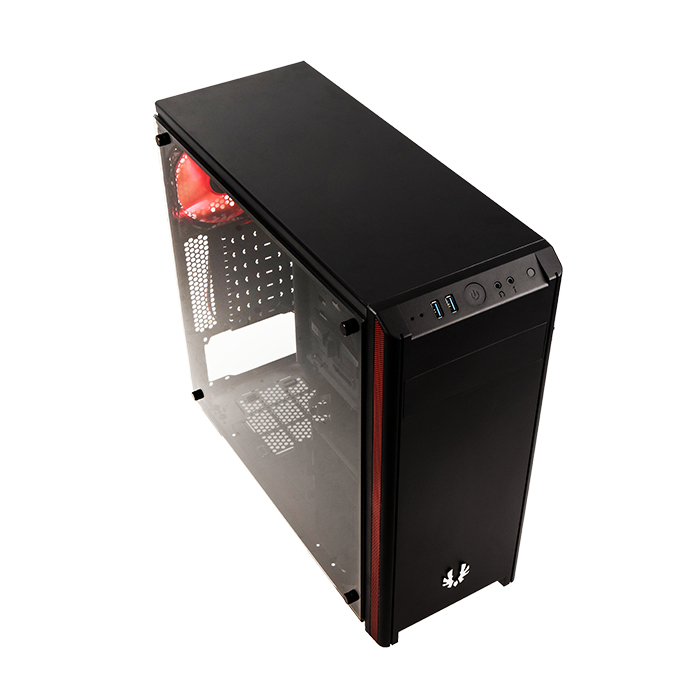 Keeping the simplistic design of the front panel, the new Nova TG is now equipped with a 4mm tempered glass panel, a redesigned body and two pre-installed 120mm fans. As a finishing touch, the signature mesh for the air inlets received a color-upgrade, matching the black version with red mesh and the white version with black mesh. 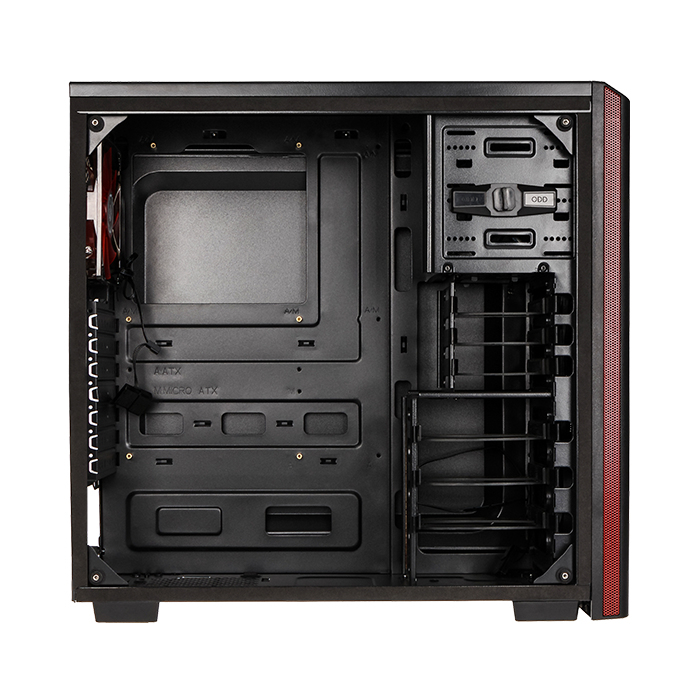 Equipped with 7 extension slots, the Nova TG is designed to house ATX, Micro ATX and Mini-ITX motherboards. 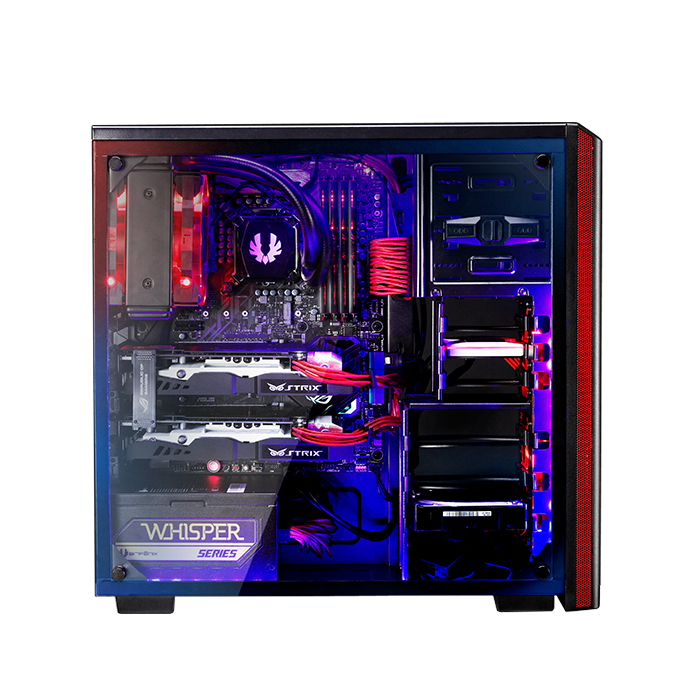 With a maximum CPU cooler height of 160mm and a maximum graphics card length of 280mm, it supports most standard gaming and multimedia setups. 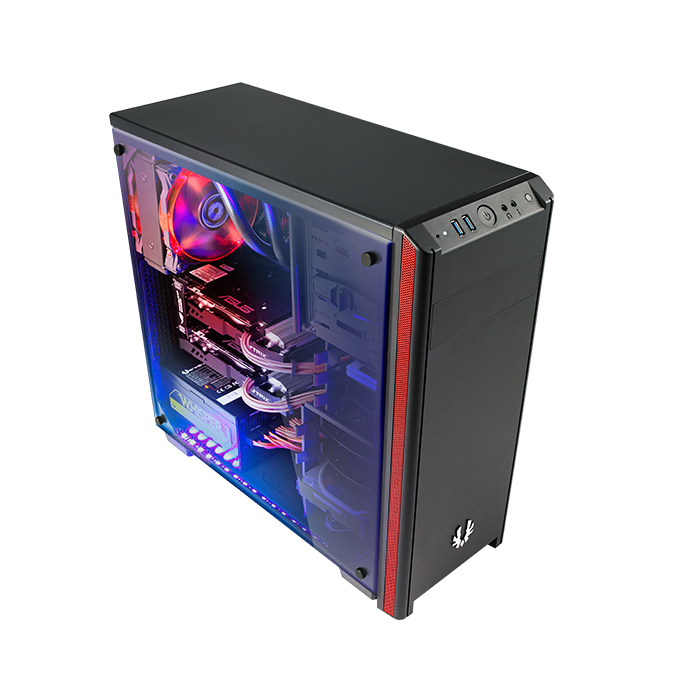 Taking the classical look of the Nova to the next level, the new Nova TG is now equipped with a tinted 4mm tempered glass panel, allowing a peek into today’s illuminated components, RGB fans and RGB strips. 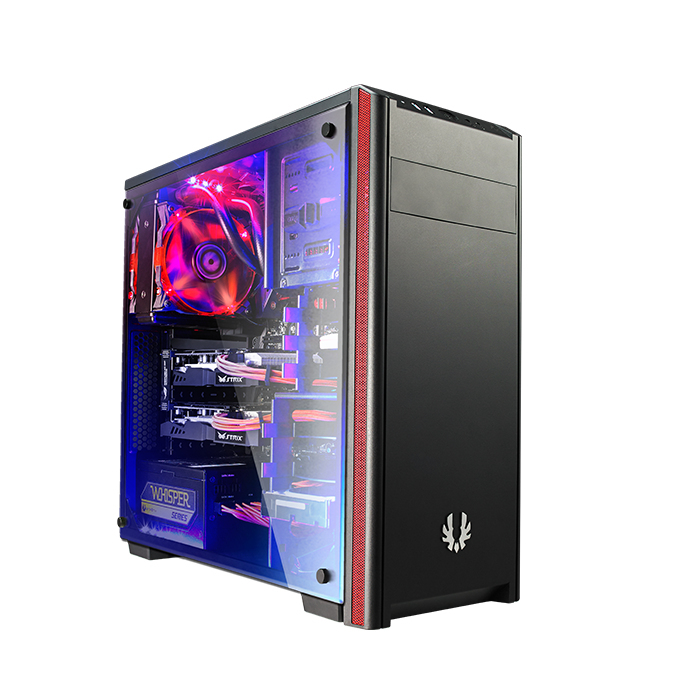 The Nova TG supports dual 120mm fan intake in the front, and a single 120mm exhaust in the rear, when fully equipped allowing excellent cooling performance and a net positive air pressure inside the chassis, greatly reducing the buildup of dust. 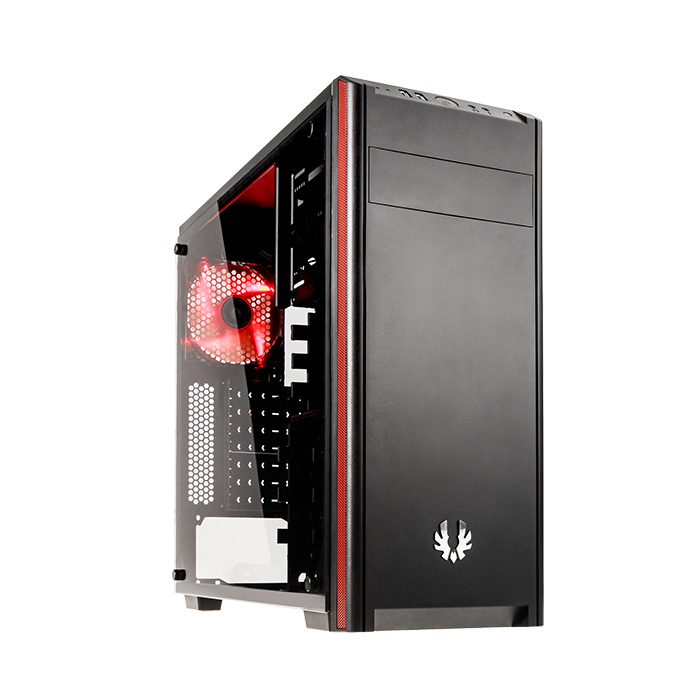 The 120mm rear fan can be swapped and supports an All-in-One cooling solution with a 120mm radiator. 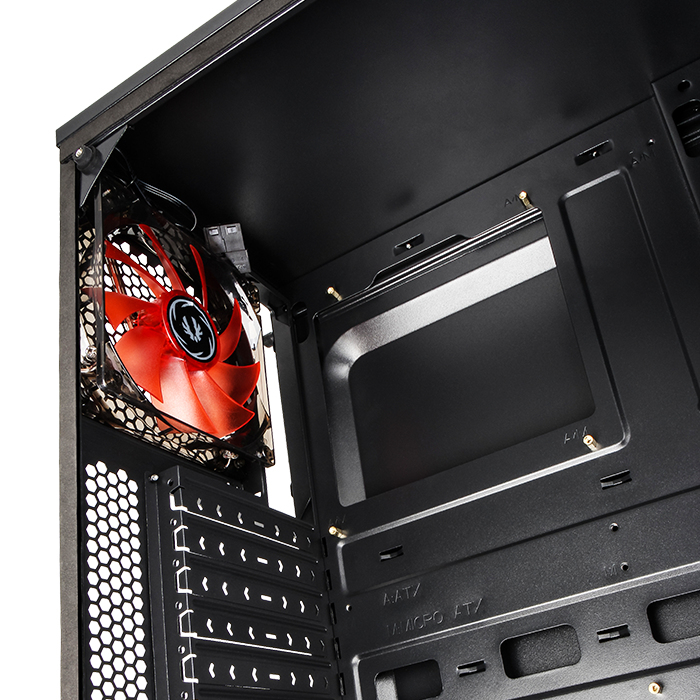 To seal fan noise inside the chassis, we developed a closed front panel for Nova TG. 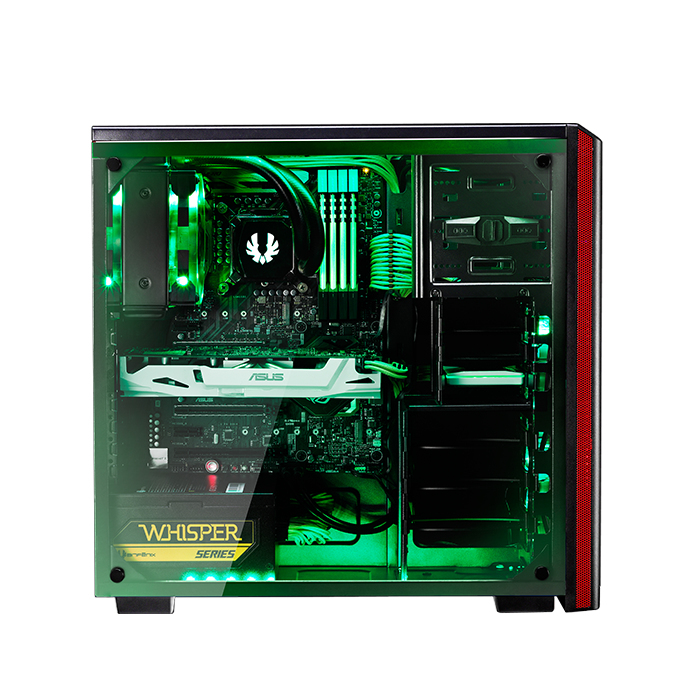 Concealed behind our signature mesh strips running along the sides of the front panel, lie a series of 134 air vents, that let fresh air stream into the case effortlessly. 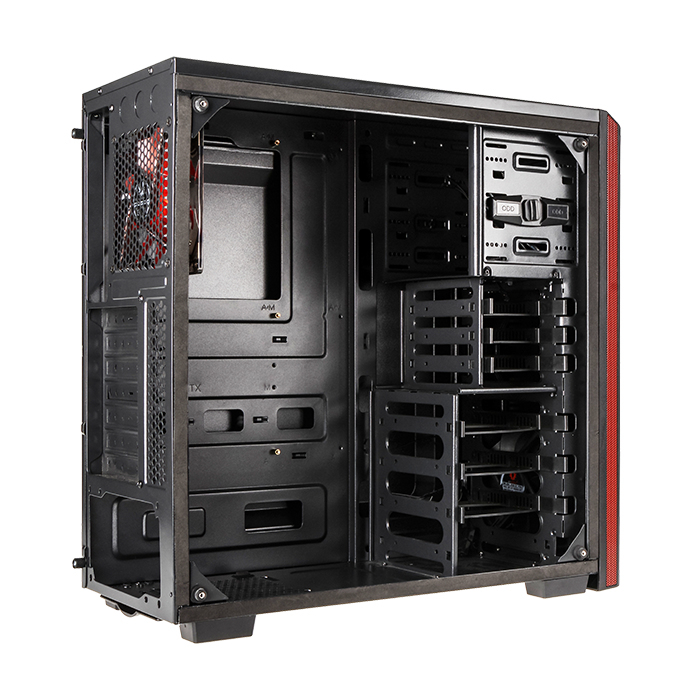 Thanks to this noise-shield design of a raised, closed front panel with side vents, Nova TG is capable of keeping even powerful components supplied with the airflow required to keep them cooled adequately, all the while confining the fan-noise to the interior of the chassis. 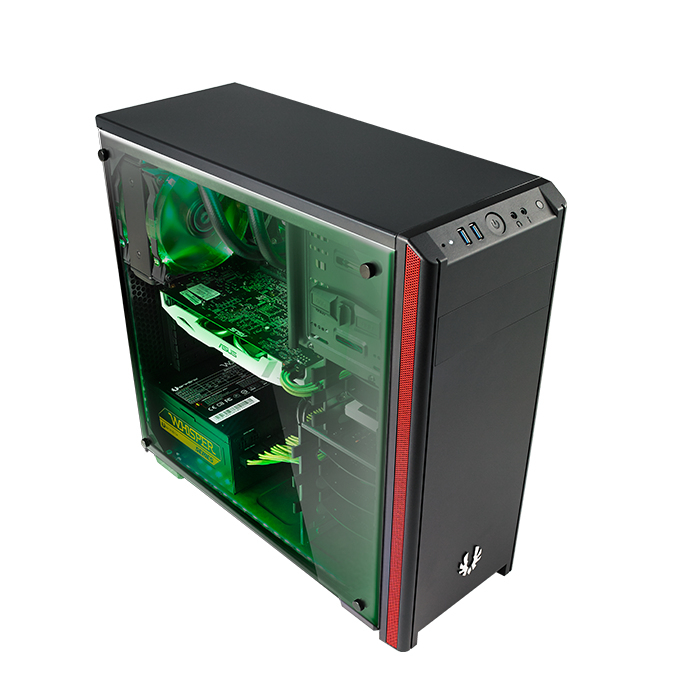 Nova TG supports up to three full size 3.5" hard drives, two 2.5" compact hard drives or SSDs and features a full size 5.25" optical disc drive slot. More than enough for a brand new build, and plenty of space to migrate over older drives from an existing system. 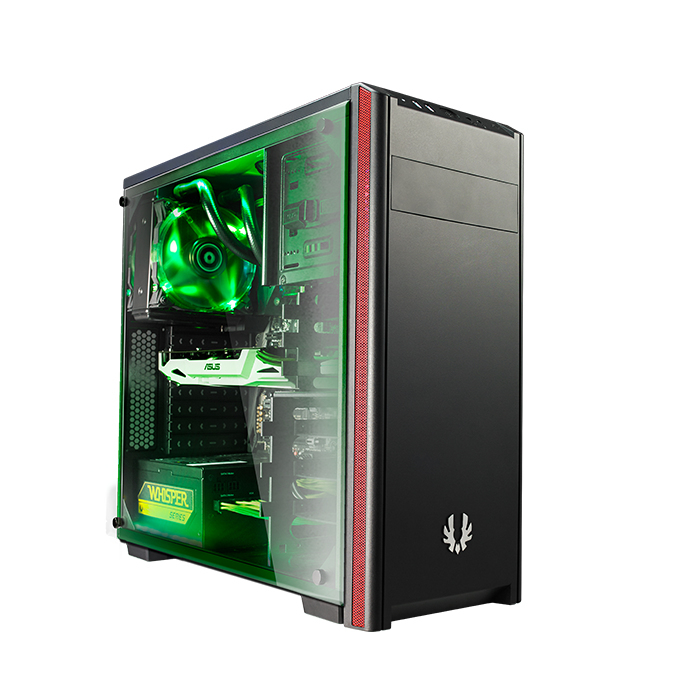 To prevent dust from building up inside your power supply, causing its fan to spin at unnecessarily high speeds or even overheat and shut down, Nova TG comes bundled with a dust filter you can quickly rinse and slide back. This not only reduces noise, but increases the lifetime of your power supply and keeps your system running reliably for years on-end. 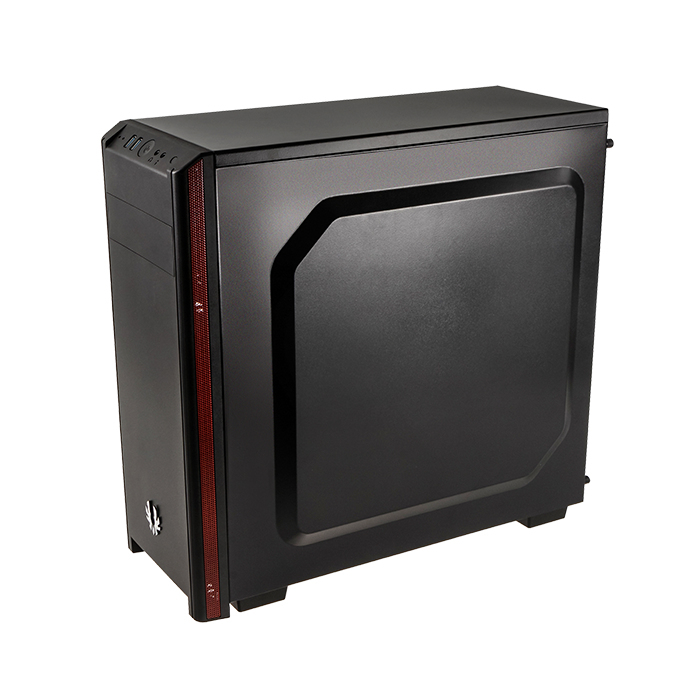 he angled front panel Interface of the Nova TG makes it easy to reach and use whether on the floor, raised, or even standing on your desk. 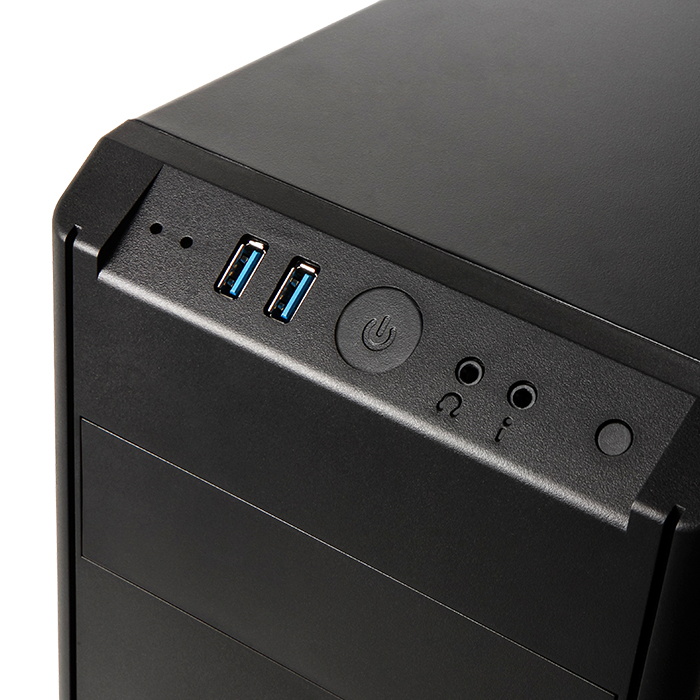 The large round power button is easy to find blindly. Two High Definition audio ports let you quickly connect a headset for your next gaming session, to listen to your favorite music or do a simple Skype call.